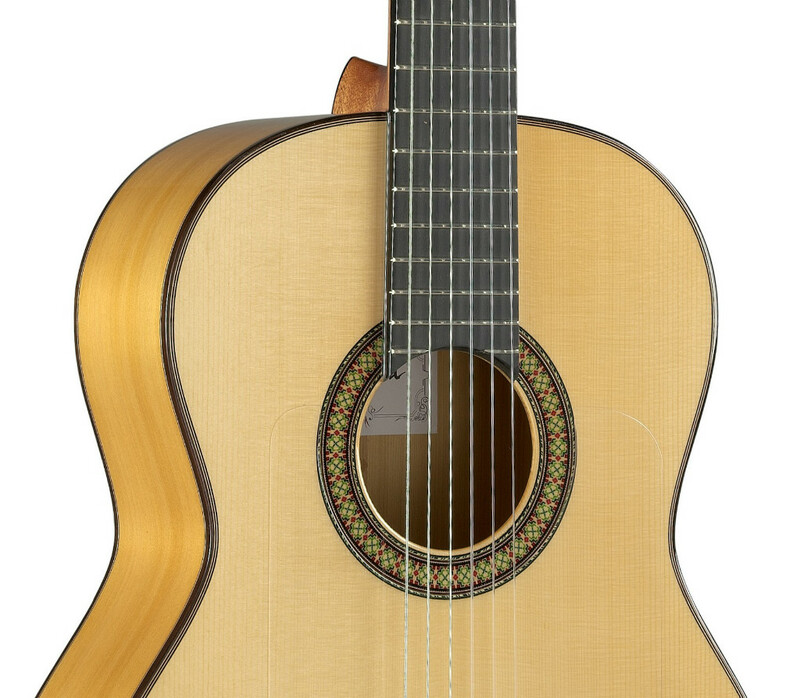 A wonderful white flamenco guitar, with an impressive flamenco sound and beautiful solid cypress for the back and sides. Tremendous, genuine, brilliant and percussive are some of the adjectives that define the 7 Fc model by Alhambra Guitars. The model 7 Fc is an instrument of the line of conservatory, with a low level of hardness and the quality that guarantees Manufacturas Alhambra. 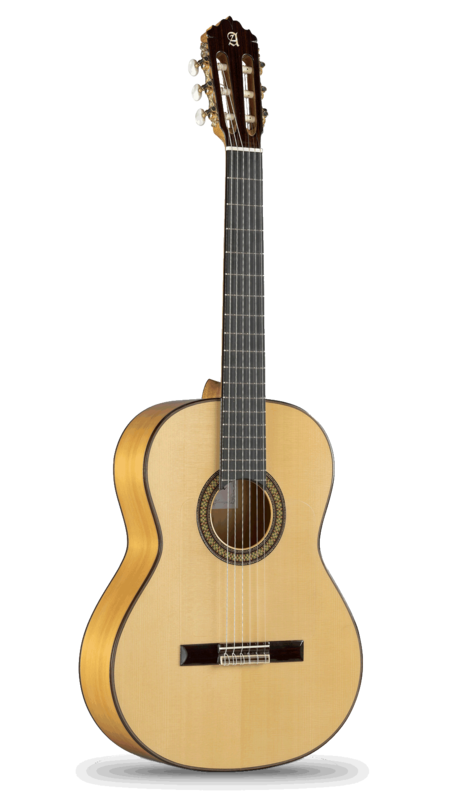 A very comfortable white flamenco guitar which will meet the demands of a flamenco interpreter. 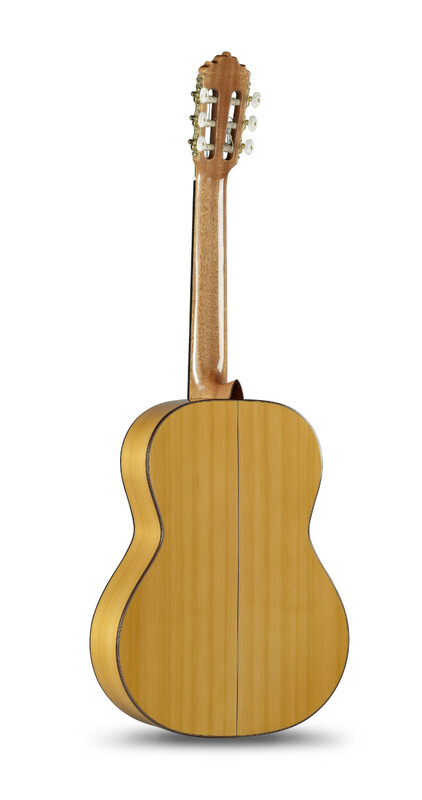 Besides the solid cypress back and sides and top solid spruce German, this guitar incorporates ebony on the fingerboard, gold plated machine heads and ebony reinforcement on the neck. In the process of making the Alhambra guitars, the ebony reinforcement is placed inside the neck and it is not visible at simple sight. In order to see the ebony piece, the saddle must be removed. The reinforcement is located just under the fingerboard. Each guitar player has a way of playing, which means that within the same model there will be variations. 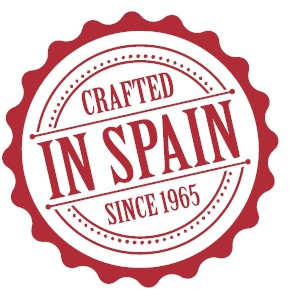 In this case, it is possible to change the action of the strings by changing the "bone" of the bridge, the saddle. 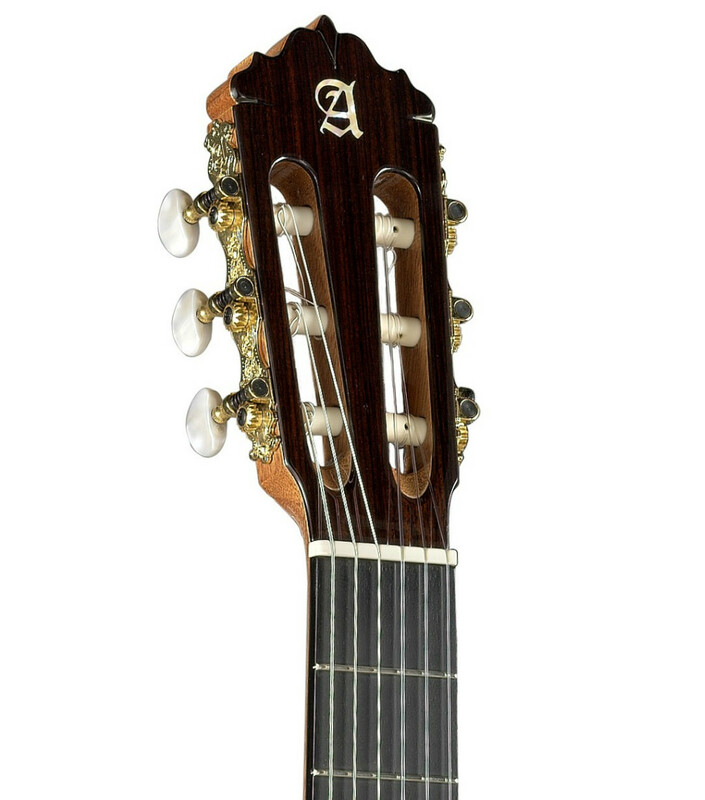 The model 7 Fc comes with two saddles with different height, to get a lower or higher action, already adapted to the guitar. A guitar designed to generate the correct buzzing when the guitar player requires it and to allow the greater comfort in the interpretation. Both, the saddle and the nut are made of melamine, this material is highly conductive of the sound and it helps to balance the sound in the instrument.